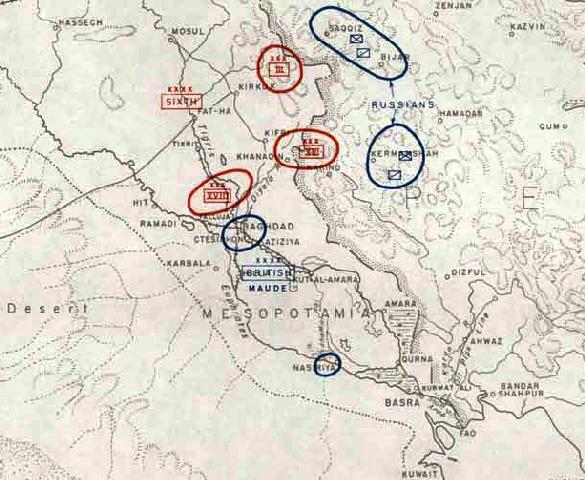 Daur, an action fought in Mesopotamia on 2 November 1917, on the west bank of the Tigris River about 140 kilometres north of Baghdad, was brought about when the commander of the British expeditionary force, Lieut.-General Sir Stanley Maude, decided to move against the Turkish garrison of 4,500 men with twenty guns opposite Daur (or Ad Dawr). To spare the attacking troops from extreme daytime temperatures, a night approach was employed which entailed some units marching from up to 50 kilometres away. In an attempt to prevent an enemy withdrawal the same tactic used five weeks earlier against Ramadi (q.v.) wits followed, involving the cavalry division being sent out on a secret movement to sweep around the right flank of the Turkish position. 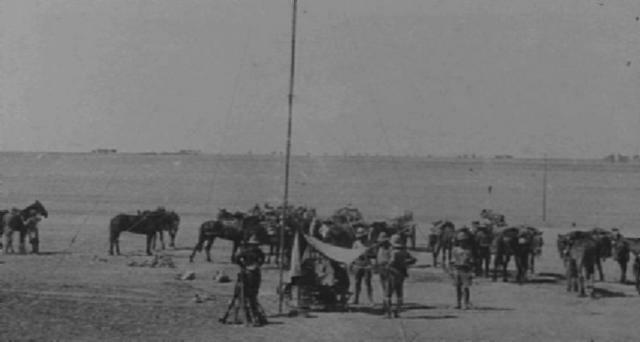 Again, during this operation the cavalry was supported by the 1st Australian Wireless Signal Squadron which provided three radio stations. Some of the unit's motorbike mounted despatch riders were also used as guides for ten armoured cars employed during the night march. This time, however, the mounted troops lost direction slightly in the dark, bumped into the enemy they were trying to bypass and disclosed their presence. In the subsequent fighting, infantry of the 7th (Meerut) Division managed to capture two lines of trenches by 9.30 a.m., but the cavalry column was delayed and bombed from the air, with the result that the bulk of the enemy were able to retire into stronger defences at Tikrit fifteen kilometres further up the river. This position was also carried by the British three days later, but the Turkish 18th Corps was able to escape intact albeit after being forced to burn part of its stores. Extracted from the book produced by Chris Coulthard-Clark, Where Australians Fought - The Encyclopaedia of Australia's Battles, Allen and Unwin, Sydney, 1998, pp. 136-137. C.E.W. 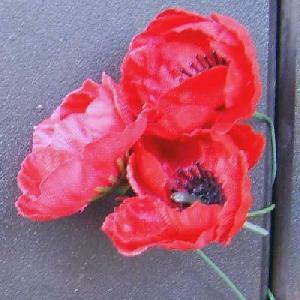 Bean (1937) The Australian Imperial Force in France during the Main German Offensive, 1918, Sydney: Angus & Robertson.